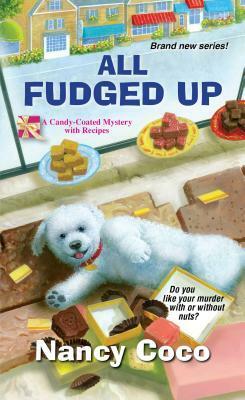 Woke up and couldn’t get back to sleep last night, so I read these two cozy mysteries. All Fudged Up was definitely an impulse buy, I saw it in my local bookshop and just added it to the pile. 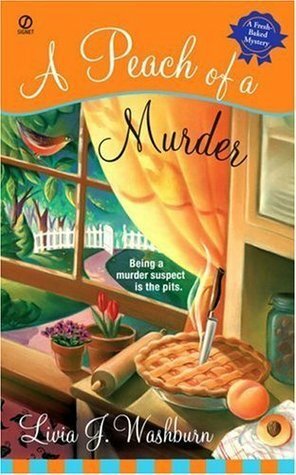 A Peach of a Murder is book one in a series that has been around a long time and I finally decided to give it a try. All Fudged Up revolves around a young woman returning to her family owned resort to take over running it upon the death of her grandfather. She was not unprepared because she had been planning for it for a while but her grandfather died suddenly and she had jump in feet first. The setting is Mackinac Island and a grand old hotel and fudge shop. As soon as she starts working to get ready for the tourist season, a dead body turns up in her hotel, putting her in the hot seat as far as local law enforcement and just the locals in general are concerned. The character, Allie, has a lot to overcome and she handles it all admirably with the help of some loyal staff and a friend that comes to stay and help. I did enjoy the setting and the main characters. The townsfolk need to be fleshed out more but I am assuming that will occur as the series progresses. The mystery was interesting with lots of twists and turns, it was wrapped up very quickly in the end. There seems to be a couple possible romantic leads but nothing too much happened in this book. This is a promising, fun series with an interesting setting and theme. A Peach of Murder is book one in Livia J. Washburn’s A Fresh Baked Mystery Series, which now boasts nine books. The protagonist, Phyllis, is perfecting her peach recipes for competition, when a murder occurs at the peach orchard. Her son is a local cop and that gives her an in with inside information and leads that she wouldn’t know about otherwise. Phyllis’s husband has died and she has turned the family home into a boarding house, mainly for retired teachers. One is an older good friend of hers, Mattie, who is sadly showing the first signs of dementia. The plus was the resolution of the mystery and the tie up of all the threads, exceptionally well done! The hints were there, but subtly done. The theme of baking/cooking contests was fun and entertaining, just seeing the petty rivalries that such events stir up. The negative was I just didn’t find Phyllis all that exciting or likable. She is the stereotypical school marm character and comes across as judgmental to me. Myaybe being a teacher I am just sensitive to that portrayal of us? I think if you like very, very clean cozies that exemplify southern Christian values you will enjoy this more than I did. It is well written and I said the mystery piece was handled very well. This entry was posted in Book Reviews and tagged book, cozy, reviews.